These are some questions you may ask yourself when you run past this term in passing, from other business owners, your marketing group, and from your web guy or gal. 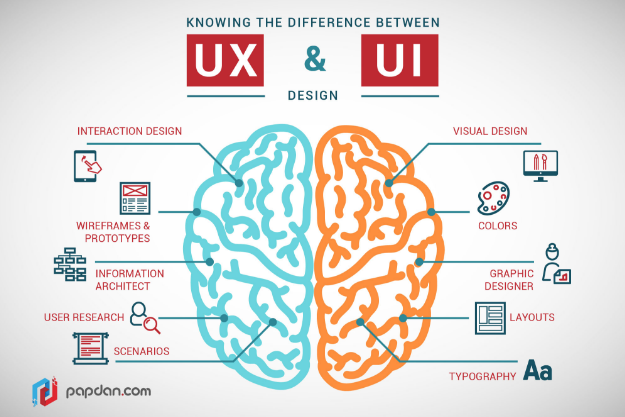 UX Design (User Experience Design) provides a human experience in a computer-based world. UX Design can be applied to many aspects such as a service, a business, a product, web design, and more. Website design and creation is really where UX Design thrives in our current business atmosphere. I know, I know, I still haven’t told you exactly what UX Design does and why UX Designers are so vital to companies. UX Designers create WIREFRAMES for websites (the structure and layout of every website before it is built), they conduct USER TESTING (testing whether the user actually likes and can use the website, product, or service), they create PERSONAS (fictitious identities that reflect a group(s) identities), they create SCENARIOS & STORYBOARDS (this describes a day in the life of your personas including where, what, when, and how), and much more. The big picture that UX Designers look at is how can your website, service, or product be best utilized by its users (buyers) and how can it be successful for the company owners. The UX Designer is like a match maker between the website developer and the business owner or the business owner and the manufacturer. It’s important to make educated decisions when building a business, so let’s do the research!